Enjoy the top 3 famous quotes, sayings and quotations by Caitlen Rubino-Bradway. 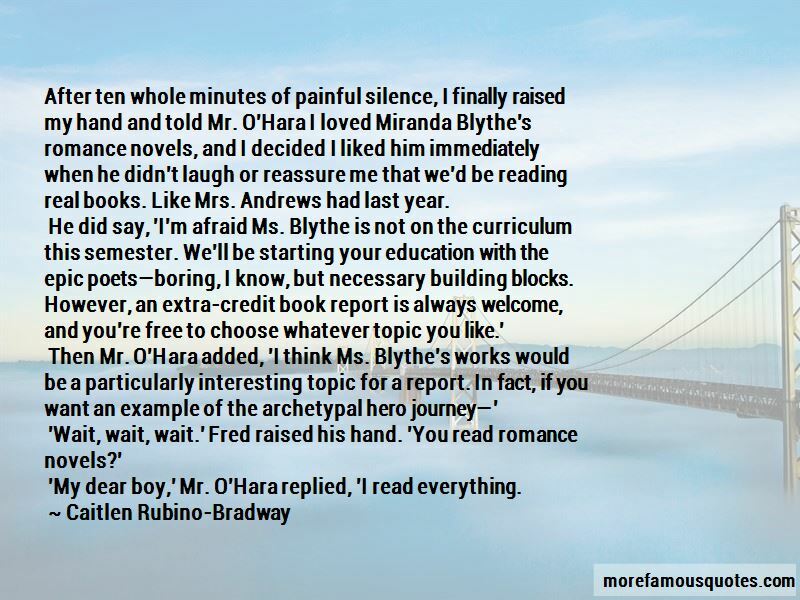 “After ten whole minutes of painful silence, I finally raised my hand and told Mr. O'Hara I loved Miranda Blythe's romance novels, and I decided I liked him immediately when he didn't laugh or reassure me that we'd be reading real books. Like Mrs. Andrews had last year. 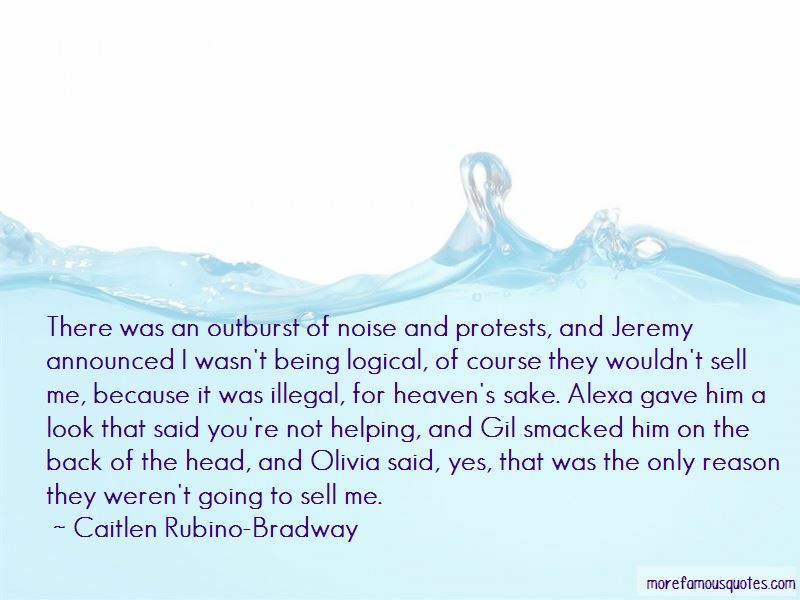 Want to see more pictures of Caitlen Rubino-Bradway quotes? 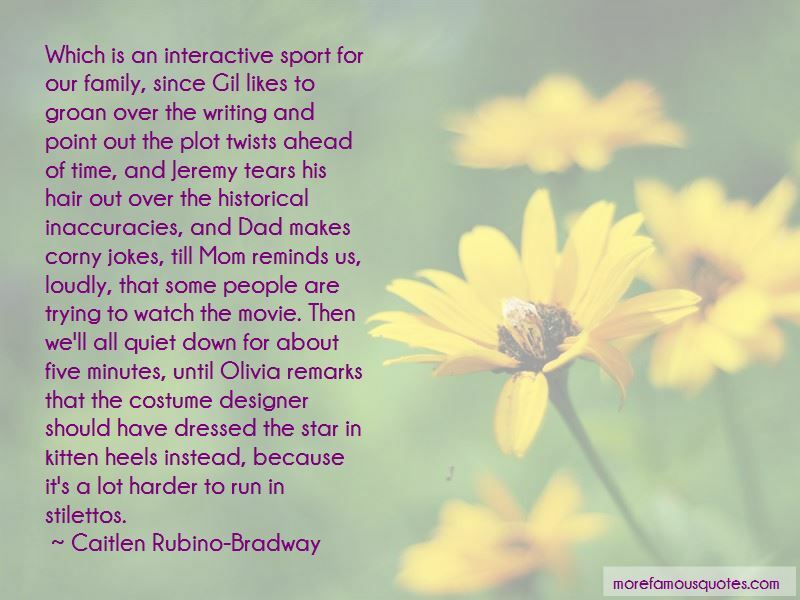 Click on image of Caitlen Rubino-Bradway quotes to view full size. “I think that, people are people. Thats why the way I treat the lady working in the deli who slices my ham is” — C. JoyBell C.